Bessemer Venture Partners picked up a piece of everyone’s favorite pinboard site back when it was barely making a blip on the Silicon Valley radar. Jeremy Levine tells us why he decided it was a good bet. Bessemer Venture Partners led Pinterest’s Series A financing last year (the startup now has $37.5 in investments, including a Series B led by Andreessen Horowitz). The pinboard site, where users create visual collections of things they love, has recently exploded into the public consciousness, causing some observers to wonder what makes it so special. Jeremy Levine, who led Bessemer’s investment, tells us about all the ways Pinterest can make money, why it’s not thinking about that right now, and why the company is more like Google than you might imagine. FAST COMPANY: What did you see in Pinterest last year, when no one else was paying attention to it? 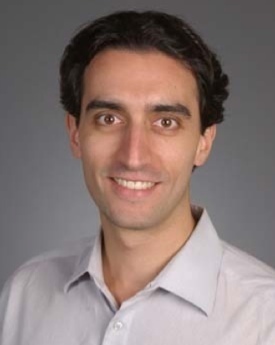 JEREMY LEVINE: Five or six years ago, in the pre-TechCrunch era when most venture capitalists on Sand Hill Road and in Silicon Valley wouldn’t touch a consumer company with a 10-foot pole (“consumer” was almost a dirty word), we at Bessemer got pretty excited about one idea: that you could build a really valuable media company based entirely on user-generated content. We made four or five investments in 2005-6, and every single one of them turned out to do pretty well: Yelp, LinkedIn, Wikia, and OLX (a global online classifieds and auction service). But there was one particular kind of company that we were scouting for constantly–a user-generated content media property around products, because products are so wildly monetizable. 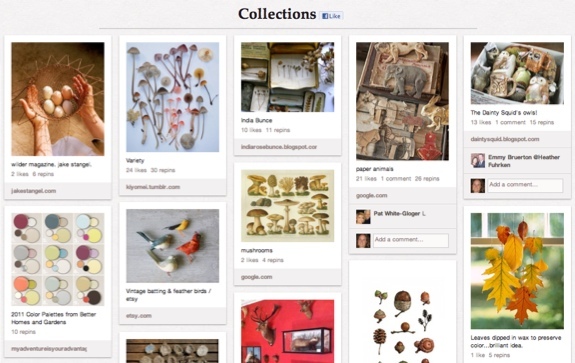 So at the beginning of 2011, when I first learned about Pinterest, it struck a nerve immediately. I said: This is essentially the company I was looking for six year ago. That’s why we jumped on it at a time it was probably not quite as intuitive or obvious as it is today. How does a “product-related, user-generated” media company like Pinterest make money? There are no specific ideas or projects in the works. Much to the Pinterest team’s credit, they subscribe to the Facebook theory on how to build a really valuable business: You don’t worry about [monetization] for a while. You focus on one and only one thing, which is building a product or a platform that consumers love to use over and over again. If you have a rabid fan base among consumers, eventually you’ll have so many ways of monetizing it that you just don’t worry about that. In fact, if you focus too early on how to make money off of something like this, then you start to build features designed to cater to the paying constituents, like businesses, brands, advertisers, at the expense of building more and more great stuff for consumers. The chance that you overextend your consumers’ patience by not doing the things they want, and ultimately turning them off and having them abandon your product, is quite high. So until you feel super-confident that you’ve got a really durable relationship with your consumers, it just makes no sense to focus on the monetization. So in the long run, where do the opportunities to make money lie? At a 100,000-foot level, anytime consumers are talking about products, there’s inevitably some subset of those products they might buy and anytime consumers are playing around with or exploring or touching products they might buy, the people who sell those products would love to be in on the conversation in some form, and will pay for that. There are lots of different ways you can imagine that happening. [Cofounder] Ben [Silbermann] and the team at Pinterest are incredibly innovative, and when they come to solve that problem, I suspect they’re going to come up with some new and exciting ways of making it happen. But they’re just not there yet. But it seems like so much on Pinterest isn’t necessarily related to commerce. Does that theory really hold? The company I admire most on this particular dimension is Google. Ninety-five percent of the time we use Google, we’re doing things that are completely unmonetizable. If I Google you, for example, I’m not doing anything that’s going to lead to a purchase. So most of the time, it’s about research and information. But that’s fine. Google serves all those needs. Because if it didn’t, we would get in the habit of searching somewhere else. But in the 5% of instances, where we’re searching for something commercial, an airline ticket or a Valentine’s Day present, for example, Google monetizes the heck out of those opportunities, and their business model works incredibly well. Those searches are monetized so well that Google’s more than happy to play a public service roll the other 95% of the time to help us find the information we’re looking for. That general idea applies to more and more online media sites. The trick is–and this is one of the reasons I think a company like Pinterest is best served by doing nothing but serving consumers–is that you have to serve lots of consumers a lot of times in order for the math to work. Pinterest’s success has kind of taken Silicon Valley by surprise. What do you think they figured out that other folks here didn’t see? There are a whole bunch of core needs that make us human. One of them, as evidenced by Facebook, is this desire to communicate with each other. Another, and it’s probably bigger or smaller depending on who you’re talking about, is this desire to collect things. As a kid growing up, I was a baseball card collector. Why? It makes no sense. It’s irrational. But you get this weird human enjoyment out of it. There’s Beanie Babies, or Pokemon cards. But I think it goes much beyond fads. It gets at a underlying human desire. What Pinterest has done is create a platform that makes it really easy for people to exercise that particular muscle. So where does Pinterest go from here? The big ambition is that: If you think of Facebook as the place where you keep all your relationships, Pinterest would love to be the place where you keep track of all the things you like (as opposed to the people you like). That’s a really big, broad vision, and they have a lot to do to get there. But if they can do that, they have a real shot at being a pillar of the Internet–one of the things you use all the time. And that’s what they’re focused on doing.